Originally scheduled for 1 January 2016, the ban on single-use plastic bags in France will be put off until 1 July 2016, to give shopkeepers and suppliers time to use up their stock. EURACTIV France reports. By voting to ban plastic bags in 2016, as part of the new national biodiversity strategy, French lawamkers naturally assumed they were doing a good thing. But they did not consider the other side of their decision, which may destroy jobs and hurt struggling plastic recycling companies. The recycling sector is driven by small companies, which are already suffering from the low price of oil. Cheap oil undermines the competitiveness of the plastics recycling industry. Between the collection and the treatment of the material, the cost of recycling means that it is currently cheaper to buy virgin plastic. And the shrinking of the market imposed by the ban on plastic bags could prove fatal to some companies. The law also caught many shopkeepers and distributors of plastic bags unawares: they have such large stocks, they do not know what to do with them. Market stall holders often buy two years’ worth of stock at a time in order to obtain the best price. Emmanuel Macron, the French Economy Minister, was sensitive to this argument, and decided to push back the date when the ban was to enter into force by six months, to 1 July 2016. The Ministry of Ecology, which is overseeing the issue as part of the energy transition, has so far remained silent. One objective of the energy transition law is to increase gross domestic product (GDP) compared to the domestic consumption of materials by 30% between 2010 and 2030. At the same time, it aims to bring down domestic consumption of materials per inhabitant. Plastic bag producers and distributors are holding their breath awaiting the decree on what kind of bags will continue to be tolerated. The government currently plans to authorise only large volume bags with a thickness of at least 50 microns (0.05 millimetres). Multiple use supermarket bags today are usually between 25 and 30 microns. “This is absurd. We will have to make bags thicker, when the aim of the law is to reduce our consumption of materials,” Madec said. 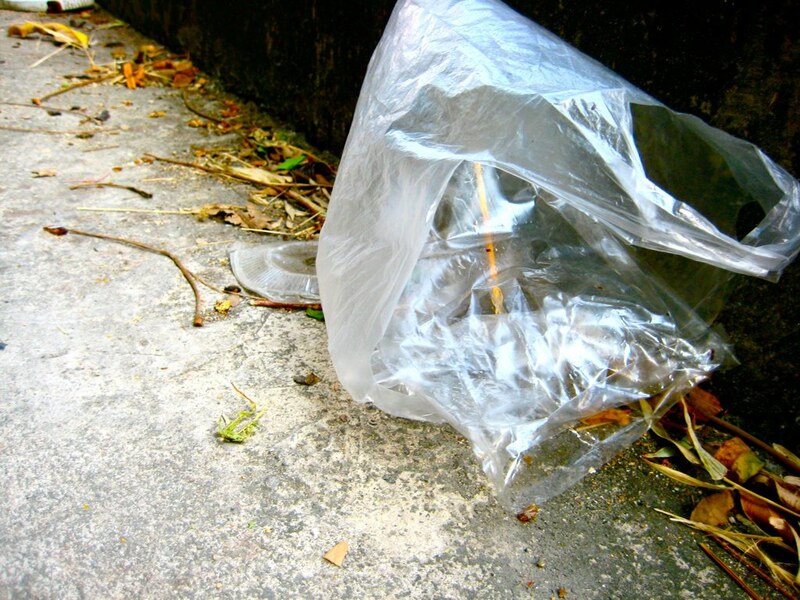 But plastic bags made from organic matter may still contain up to 60% fossil-based materials, at least until 2017. And even so, organic matter bags are hardly biodegradable in domestic compost, but rather need treatment in organised industrial facilities. These require specialised collection services for organic matter, which hardly exist in France. These bags, which could become more common from next January, pose a real problem to plastics recycling companies: they have to be separated from those bags made purely out of plastic so as not to degrade the final product. “The situation is already problematic in rubbish dumps, where bin bags are separated from rubbish by an optic sorting system. But the mechanism cannot recognise the bio-sourced bags, which then contaminate the rest of the bags,” said Alfred Rosales from Federec, the French recycling industry assocation. Once “contaminated”, the bales of recycled plastic cannot be used and have to be incinerated. Piotr Barczak from the Brussels-based NGO European Environmental Bureau confirmed this criticism. “We have to remember that bio-sourced bags do not decompose well, particularly in the sea. They have to be collected separately and not mixed with other recycled plastics,” he said. The European Union's 2005 strategy for the prevention and recycling of waste sets a long-term goal for the EU to become a recycling society that seeks to avoid waste and uses waste as a resource. To comply with the directive, member states are obliged to draw up specific waste management plans after analysing their current waste management situations. Countries were also required to establish special waste prevention programmes by the end of 2013, in a drive to break the link between economic growth and the environmental impacts associated with the generation of waste.